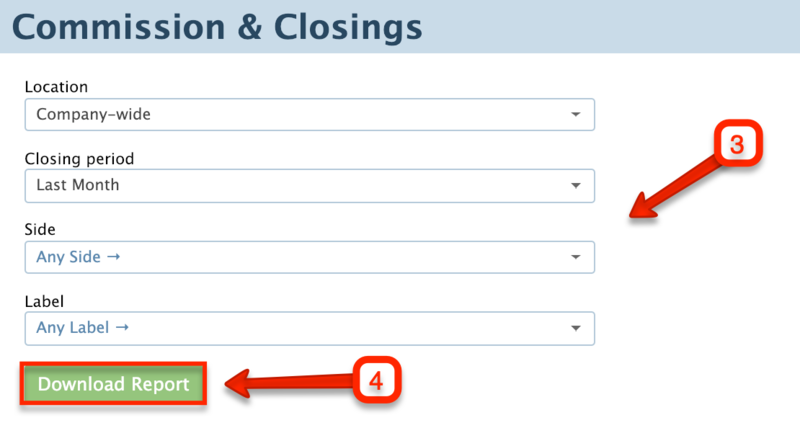 Track and designate outside referral commission inside of Pipeline’s Manage Commissions page. 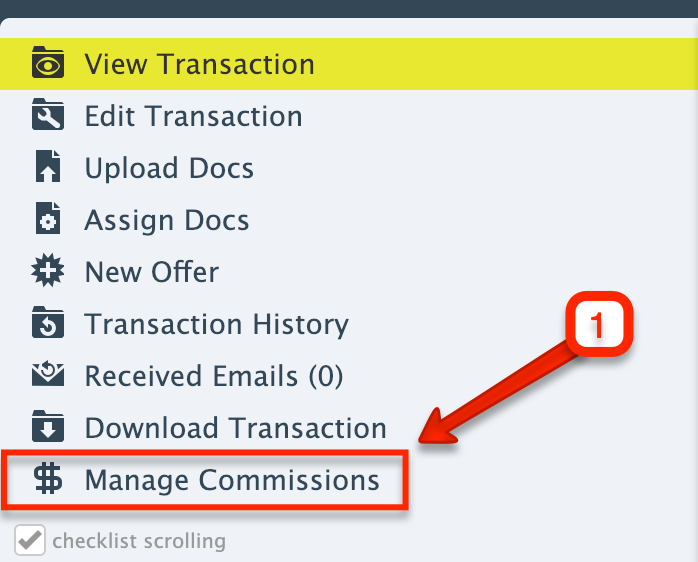 From any transaction, access the Manage/Update Commissions page from the left hand menu. Once on this page, any information from the transaction will auto-populate in step 1 and step 2. 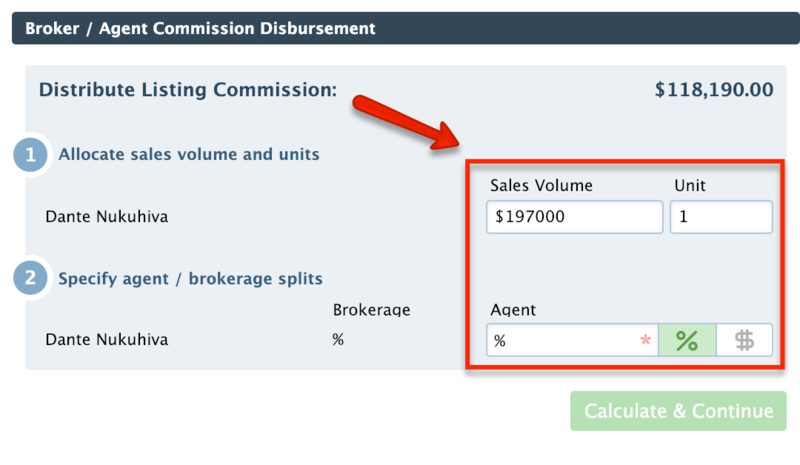 Enter the commission percentage (%) or fixed dollar amount ($) that is going to be paid to the brokerage. Enter the outside referral that needs to be paid by entering a percentage (%) or fixed dollar amount ($) in the Referral Commission box. 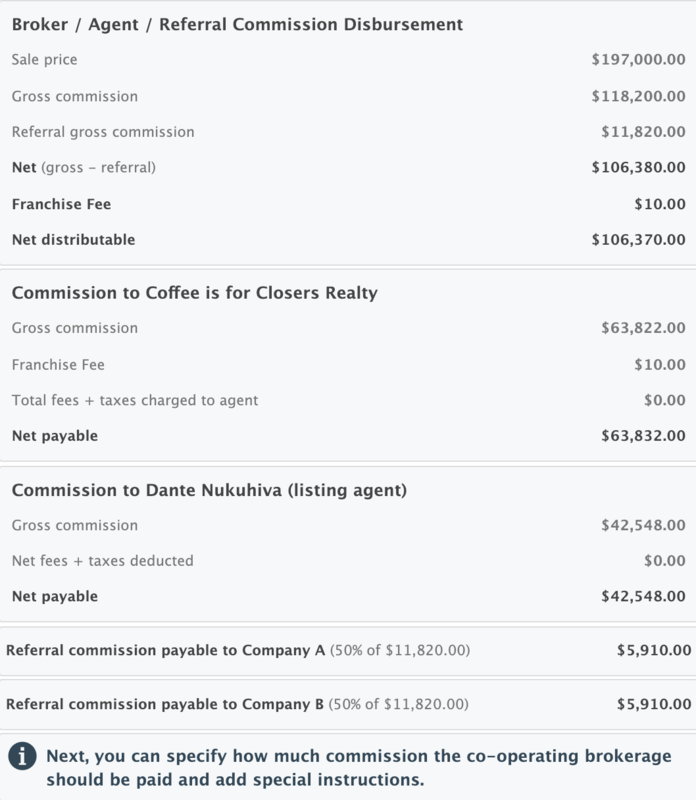 Calculate the commission, then move on to the next step to distribute the commission between the brokerage and the agent as well as charge any additional fees and deductions. Calculate the commission then move on to the next step to track the referral commission. Set the number of referrers. 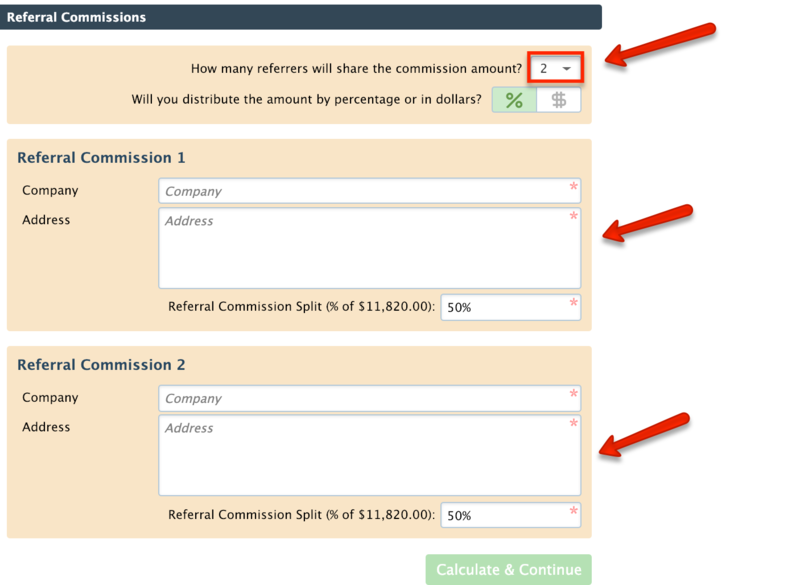 If there is more than one referrer, you can select how many there are and distribute the commission by percent or dollar amount. Enter the name and address for each referring company. Calculate the commission. Paperless Pipeline will generate a complete breakdown of all the information entered including the referral. Click Reports from the top menu. Click on your desired report from the left menu. Select or enter the desired filters. Click [Download Report] to download the report to your computer.